The launch of Pokémon GO plus accessory has been delayed. It was scheduled to launch by the end of July, but now it will be launched in September 2016. The Pokémon GO plus will be a wearable and will connect with your phone via Bluetooth. This will reduce the battery consumption of your phone because the players will not have to look at their smartphones for searching Pokémons, instead, the accessory will alert them about nearby Pokémons and Pokéstops. This will be beneficial if you are driving or walking around streets. 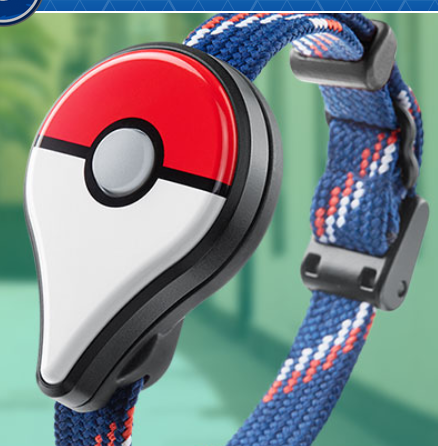 Whenever, the accessory detects a Pokémon around you, it will give a notification with LED flash and vibration. It will also blink and vibrate whenever you are near a PokéStop and you have to press a button in the accessory to search the PokéStop for items and then you can swipe or tap on them, to add it in your inventory. The button in Pokémon GO plus can also be used to throw Pokéballs at the nearby Pokémons and if you are successful, then it will notify you for the same. Nintendo is still working to launch the game in other parts of the world. There is a huge population in Asian countries who are eagerly waiting for the official launch. And majority of them belong to the South Asian countries like India, Pakistan, Nepal, Bhutan, Bangladesh. People in these countries are playing Pokémon GO by installing and downloading APK files from the unofficial sources. However, few days back many of these regions were experiencing a no Pokémon zone and as a result no Pokémon could be found. The users in these countries have to wait for the official release of the game because there are fake and duplicate Pokémon games in Play Store. You can regularly check the official Pokémon GO game in the Google Play Store if it is availability in your country. You can also check the game compatibility with your phone in Google Play Store.